Four-time Olympic gold medalist Greg Louganis was famously shunned from one of the sports world’s highest honors during his stellar career – appearing on the front a box of General Mills cereal Wheaties. 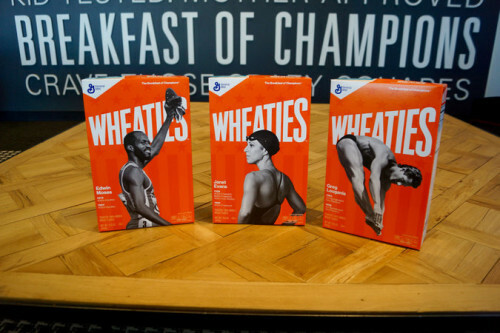 Hurdler Edwin Moses and swimmer Janet Evans will also be featured on separate boxes. Louganis was still closeted during the 1984 and 1988 Summer Olympics, but the rumor mill swirled with whispers that he was gay. Supporters claim that the reason the athlete wasn’t featured was homophobia. “The times have changed so drastically and so fast,” told The New York Times. “When I came out to my mom, she feared I’d always be a second-class citizen and never have a chance to be married. But Johnny [Chaillot] and I are married, and we’re making a life together.” The two were wed in 2013. Louganis came out as gay in 1994 and has HIV+ in an autobiography published the next year. He recounted testing positive shortly before the 1988 Olympics, but keeping it a secret so he would not be banned from participating. The swimmer famously hit his head on the springboard during one dive; his decision to come out as HIV+ sparked a nationwide discussion about the disease and led to greater acceptance for people living with HIV. The former Olympian says he harbors no ill will toward cereal maker General Mills for their decision in the 1980s, saying it was a different time and acceptance of LGBT people has increased dramatically.